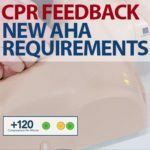 American CPR Training™ reminds Instructors that the American Heart Association’s new requirements for CPR training courses using CPR feedback devices are effective in just two weeks. 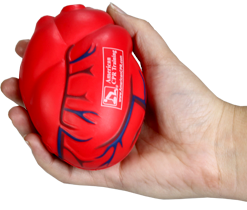 The American Heart Association published that they “will now require the use of an instrumented directive feedback device in all courses that teach adult CPR skills, effective January 31, 2019". 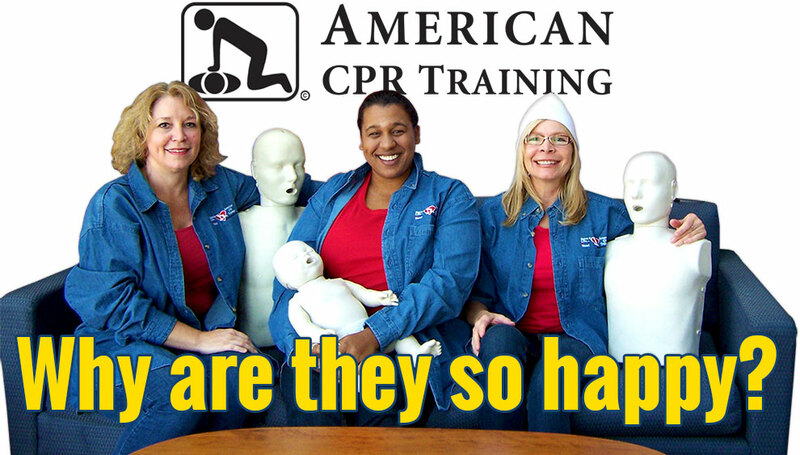 Also, the American Red Cross published a statement that they “will incorporate CPR feedback devices in all classes delivered directly by the American Red Cross and recommend CPR feedback device usage for all training partners”. To comply with the new course requirement, feedback devices must, at minimum, measure and provide real-time audio feedback and/or visual feedback on compression rate and depth. 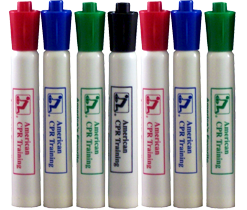 Other national training organizations (American CPR Training™, etc.) have not yet implemented these requirements for instructors, however, it is likely that the 2020 ILCOR/ECC guidelines will include this requirement in which case all compliant CPR Training organizations in the US will add this to their instructor guidelines. 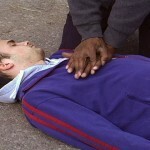 • Chest compressions are delivered at a rate of 100 to 120 compressions per minute and at a depth of at least two inches. • Feedback devices must, at a minimum, measure and provide real-time audio and/or visual feedback on compression rate and depth. • Although chest recoil and proper hand placement is noted in the announcement, it is NOT part of the compliance with the directive. 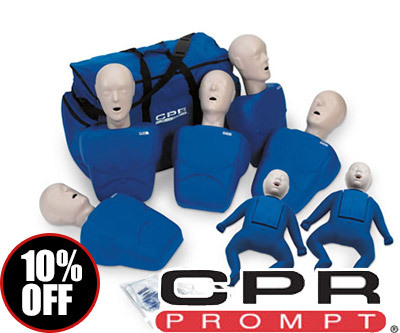 Prestan Professional CPR Manikins with CPR feedback meet the new requirements! 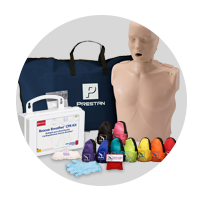 Prestan evaluated their Manikin products in light of the American Heart Association statements and have determined that Prestan Professional Adult CPR/AED Training Manikins with Monitor meet all of the requirements as stated by the American Heart Association. 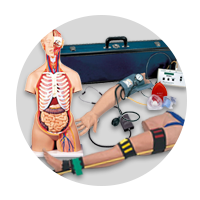 Prestan’s Professional Adult CPR/AED Training Manikin with Monitor provides real-time visual feedback with lights in the shoulder area of the manikin that builds student confidence by providing feedback rates in steps. Then, when compressions are 100 to 120 per minute, two green lights appear. 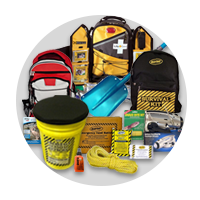 If the upper limit of 120 compressions per minute is exceeded, a yellow flashing light will flash on and off. 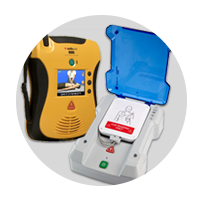 Prestan’s Professional Adult CPR/AED Training Manikin with Monitor also provides real-time audio feedback with a clicker mechanism that emits a loud ‘click’ sound when the torso is compressed to a depth of at least 2 inches. 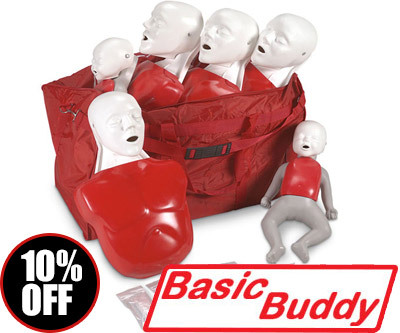 The American Heart Association has not set requirements for Child manikins nor Infant manikins yet – although Prestan’s Professional Child CPR/AED Training Manikins with Monitors and Prestan’s Professional Infant CPR/AED Training Manikins with Monitors provide the same comprehensive feedback mechanism desired by instructors worldwide. Have Prestan Manikins but Need to Upgrade? If you already own Prestan Manikins, without monitors or with the older putty colored monitors, upgrade them today! 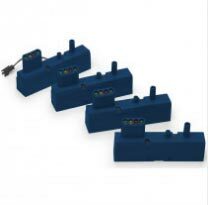 You can purchase the New Blue Prestan Monitors to easily upgrade all your Prestan Manikins. Available in singles or 4 packs. 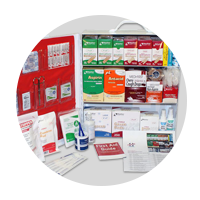 Build Your Life Saving Confidence With Prestan Professional Manikins! This entry was posted in CPR Training and tagged aha, american heart association, CPR Training, prestan, cpr manikin, feedback requirements, feedback device, visual feedback on January 30, 2019 by American CPR Training Team. You’ve spent the year giving the gift of life through your teaching efforts. Now let us give you the gift of up to 96% off! 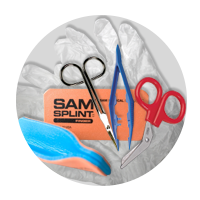 Use it to get a slick new training outfit, fun props and tools for teaching, or to stock up for your 2019 training needs - all just for YOU, our American CPR Training™ Affiliate Instructors, at year-end-blowout pricing! 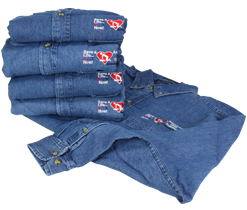 Just click the images above for these special closeout and overstock sale prices. Plus! 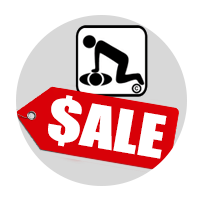 Click below for American CPR Training™ Student & Instructor Materials 20% off for a very limited time - Enter promo code "ACT2018" in your shopping cart or at checkout for the extra 20% off! Offer expires at Midnight 12/31/18. Available Online at AmericanCPR.com or Toll Free 800.823.0124 - Offer cannot be combined with any other offers or incentives. Offer cannot be applied to completed orders. While supplies last, offer subject to substitution or change without notice. 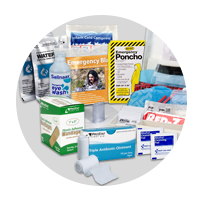 20% "ACT2018" code applies only to the American CPR Training™ Materials - excluding any existing special offers such as our DVD BOGO. Call with questions or for further details. 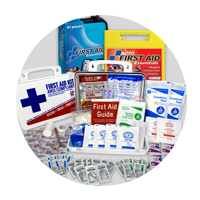 This entry was posted in Sales and Special Offers and tagged CPR Training, First Aid Training, sale, 20% off, promo, American CPR Training, blowout, props, tools, bags, shirts, 96% off, ACPR006, ACPR007, ADVCPR10, AED10, BBP10, BFAVID-DVD, BFAVID-DVD-PLUS, CAREVID-DVD, COMBO10, CPR10, FA10, INSTMAN-V3, INSTMAN-V3DVD, TK-ACTCOM, TK-ACTCPR, TK-ACTFA on December 18, 2018 by American CPR Training Team. Did you know that on this day in 1913 Ford Motor Company instituted the world's very first moving assembly line for the Model-T? This occurred at Henry Ford's Highland Park, MI factory. This first assembly line cut down the man-hours required to build a Model-T from twelve hours to two and a half! Prestan Manikins with Light Monitors allows CPR Instructors to perform training in a similar manner, lining up larger groups of students for training. The light monitors both allow the students to view, understand and improve their own CPR practice performance during the hands-on training in the class - but the light monitors also allow an Instructor to know from across the room if a bystander learning CPR is performing CPR at the correct rate, depth and ratio required for most effective lifesaving! 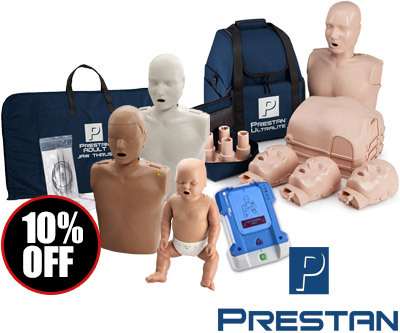 Prestan manikins are the present and future of CPR Training manikins with their revolutionary CPR Rate Monitor that allows for instant feedback to both instructor and student regarding the rate of chest compressions. The visual feedback from the CPR Rate Monitor gives students a real life feel of delivering 100 compressions per minute. 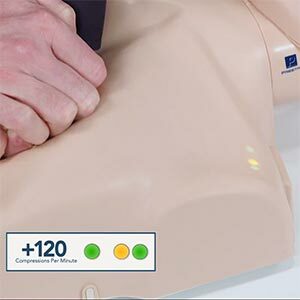 You add on a clicker sound as the chest is pushed to the appropriate depth, allowing them to experience the true force needed to deliver real life chest compressions and the option to teach with a jaw thrust maneuver. 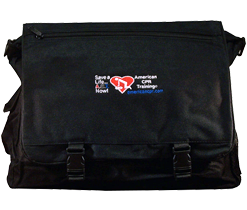 This entry was posted in CPR Training and tagged CPR Training, CPR. 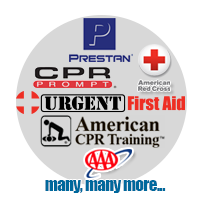 AED, prestan, prestan cpr, prestan cpr manikins, Prestan Manikins, Prestan Monitor, Prestan Lights on October 7, 2016 by American CPR Training Team. 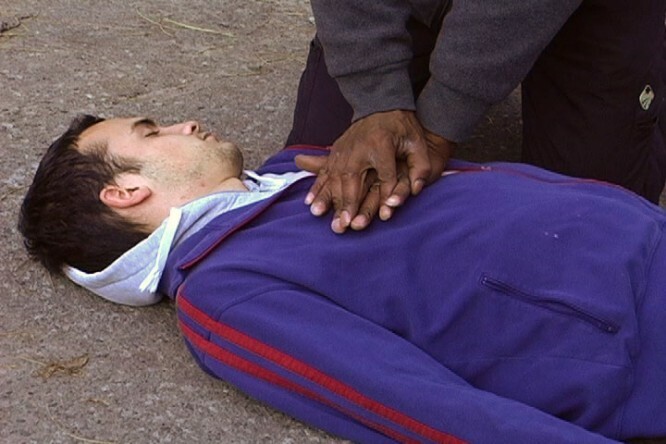 While CPR Training nearly always covers when to begin giving CPR (and quality CPR course will) many times students ask "When should I stop performing CPR?" A qualified professional pronounces the victim dead. Observable signs of circulation return ~ Victim begins breathing on his or her own. Qualified personnel arrive who can render the same level of care or better. You become too exhausted to continue. This entry was posted in CPR Training and tagged cpr, CPR Training, Performing CPR on January 25, 2016 by American CPR Training Team. 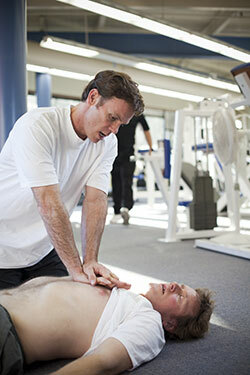 Since Winter is when most people suffer heart attacks, wouldn't this be the bests time to learn or renew CPR Skills? Learning CPR should be convenient, easy, inexpensive and fun! While CPR Training is a critical life skill that involves education about physiology, anatomy, and physical skills, it need not be grueling or boring. Come see for yourself! 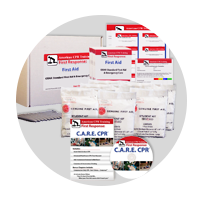 learn about our corporate-style, entertaining, time- and cost-effective curricula for CPR, First Aid, AED, and BBP Training - then get a Quote for one of our thousands of excellent, experienced Instructors to come teach your group onsite at your location! 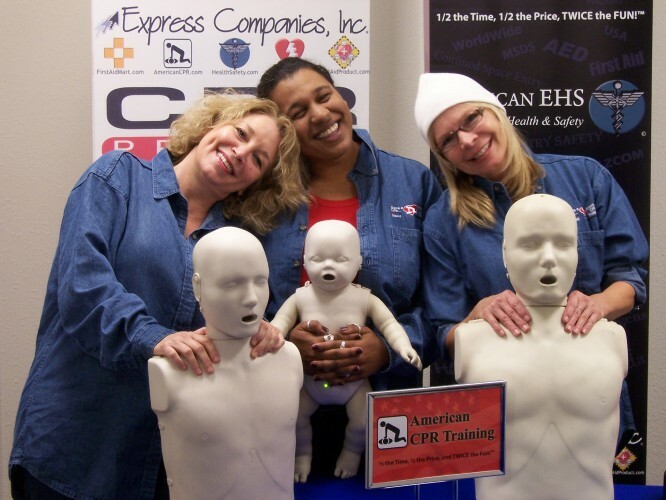 This entry was posted in CPR Training, First Aid Training, AED Training, BBP Training and tagged first aid, cpr, aed, BBP, CPR Training, First Aid Training, AED Training, BBP Training on January 8, 2016 by American CPR Training Team.